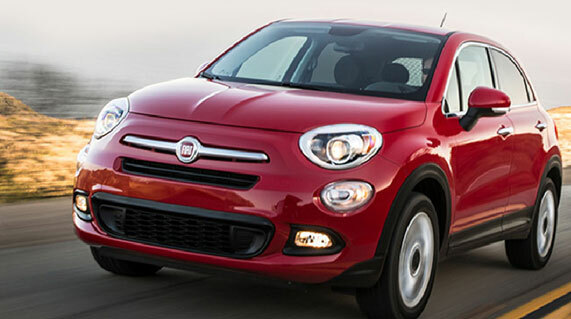 Get Your Desired Fiat Model from the Most Affordable Fiat Dealership in Edmonton! Welcome to Derrick Dodge, the leading Fiat dealership in Edmonton, Alberta, bringing you new and used cars at affordable rates. Whether you are in search of a latest Fiat model or an old one, we have got it all. But that’s not all that we offer. We have a range of other cars that you can choose from including Dodge, Chrysler, Ram, and Jeep. So, choose the car that you like and we will make sure you get the most competitive rates. Our extensive fleet of cars includes everything from a sleek sedan to a monster truck. We are certified Fiat dealers offering quality cars at a price you won’t find elsewhere. And for those of you who cannot afford to buy a brand new Fiat, we have a huge range of used cars that are both well maintained and high quality. At Derrick Dodge, our aim is to keep our customers happy, which is why we have cars suiting every budget range. Furthermore, we offer car service and finance options to our customers looking for outclass convenience. I bought my Fiat 500 from Derrick’s and what I loved about them is that they did not try to be sneaky and hide things from me. I visited the showroom in Edmonton a couple of times before making the final purchase and the entire team was very helpful. I am still driving the same car and it hasn’t bothered me much. Thumbs up for the team! Derrick’s is definitely my go-to Fiat dealership. Although I bought my Dodge from their showroom, I love the fact that they have options for all price brackets. Bought my brand new Fiat Pinto from Derrick Dodge on a car finance plan. Their team helped me choose a suitable finance option for the purchase and I’m glad I did not have to run out and look for car finance plans on my own. They got the job done for me and I was able to purchase the car I liked without any problem. We are the trusted Fiat dealership in Edmonton, Alberta. We offer a range of automotive services including new and used Fiat, Chrysler, Ram, Jeep, and Dodge cars. Our team of professionals are always there by your side to help meet all your car needs. So, whether you want to get your hands on a brand new Fiat or want to consider pre-owned car options, we have got your back! 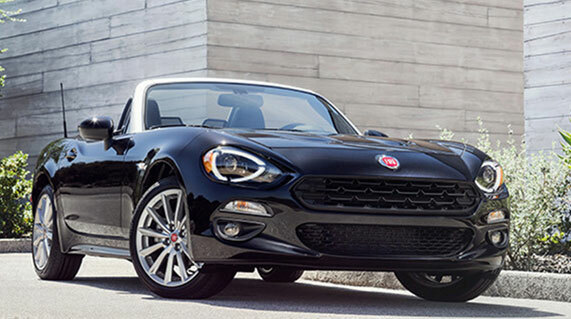 In search of a new Fiat? You are at the right place! 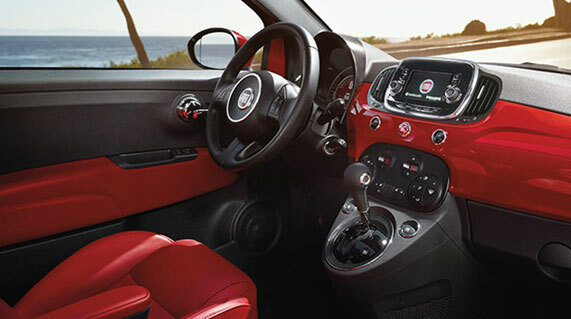 At Derrick Dodge we have a range of brand new Fiat models for you to choose from. And if you are looking for more options, we also offer Dodge, Ram, Jeep, and Chryslers. Don’t have the budget to get your hands on a new Fiat? Here’s a range of pre-owned cars that are suitable for different budget ranges. Browse through the variety to pick a well-maintained pre-owned car that is affordable at the same time. Schedule a car service with us and make your car look and perform at its best. We offer a complete range of automotive maintenance service including regular maintenance so you can drive your car without ever incurring a problem. Can’t pay for a brand new or used car upfront? We have exactly what you need! At Derrick Dodge, we offer a range of car finance options to help you buy the car of your dreams without worrying about the budget. Your Dream Car is Awaiting You at Derrick Dodge! If you are looking to save money on Fiat, Chrysler, Ram, Dodge, and Jeep, choose Derrick Dodge as your dealership. We offer the most incredible rates on all our cars including pre-owned ones. We are a customer-centric Fiat dealership in Edmonton, Alberta, and offer affordable cars for people on a budget. Our pre-owned cars are quite affordable, but so are our new car models. At Derrick Dodge, we help bring your dreams to life! We are a certified Fiat dealership store in Edmonton, Alberta, offering our customers the best value for your money. All of our cars are chosen with care by our team of professionals to ensure that our customers get the best value. Whether it is a used car or a new one, we keep our cars very well maintained so that you don’t have any complaints. Put Your Seat Belt On and Test-Drive Our Spectacular Cars! Experience the performance of our cars on your own by visiting our showroom in Edmonton, Alberta. We have all our cars lined up for you to test drive. No matter which car you are interested in, we will gladly offer you a free test drive service so you can see for yourself. By letting potential customers test drive cars, we ensure that they are satisfied with our service. Furthermore, it allows them to pick the car that they feel offers the highest performance. Derrick Dodge is the most renowned and reliable Fiat dealership in Edmonton, AB We let our customers enjoy a relaxing car purchase journey and pick their dream car under their desired budget. And if you fall in love with a car, but don’t have enough money to pay upfront, we can find a finance option for you to back your purchase. This is a win-win as you get to purchase the car of your dreams while still paying less. Keep Your Car Looking & Performing Flawless Forever! No matter what type of car problem you have incurred, at Derrick Dodge, we always have a solution. We have a team of professional technicians trained in the factories of Fiat, Dodge, Jeep, Ram, and Chrysler to help fix all kinds of car problems. You can give us a call and book a maintenance appointment with us to get your car up and running in no time. We also offer routine maintenance service to our customers to ensure that their cars run smoothly without causing any trouble. Whether you need to fix your brake or change your car’s oil. We will do it for you in less time and in less money.